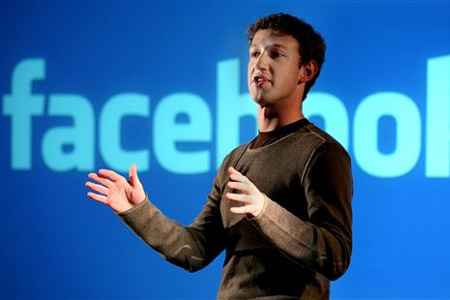 Facebook has reported financial results for the quarter ended June 30th 2014. Revenue for the second quarter of 2014 totaled $2.91 billion, an increase of 61 per cent, compared with $1.81 billion in the second quarter of 2013. Excluding the impact of year-over-year changes in foreign exchange rates, revenue would have increased by 59 per cent. Revenue from advertising was $2.68 billion, a 67 per cent increase from the same quarter last year – perhaps lifted by the recent introduction of video ads in users’ newsfeeds. Excluding the impact of year-over-year changes in foreign exchange rates, revenue from advertising would have increased by 65 per cent. Mobile advertising revenue represented approximately 62 per cent of advertising revenue for the second quarter of 2014, up from approximately 41 per cent of advertising revenue in the second quarter of 2013. Payments and other fees revenue was $234 million, a 9 per cent increase from the same quarter last year. Daily active users (DAUs) were 829 million on average for June 2014, an increase of 19 per cent year-over-year. Mobile DAUs were 654 million on average for June 2014, an increase of 39 per cent year-over-year. Monthly active users (MAUs) were 1.32 billion as of June 30, 2014, an increase of 14 per cent year-over-year. Mobile MAUs were 1.07 billion as of June 30, 2014, an increase of 31 per cent year-over-year.